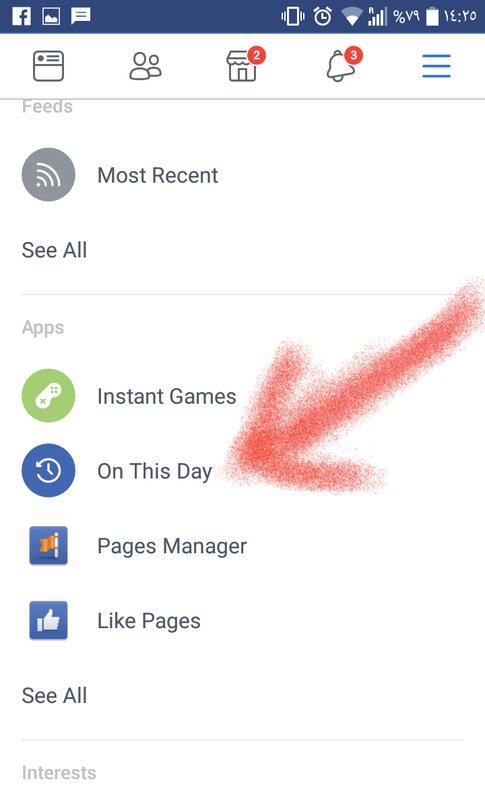 How do I activate or deactivate the "A day like today" notifications in Facebook? 1 ▶ Touch the side menu button "See photo (1)"
2 ▶ Touch View all below Applications 👁🗨. 3 ▶ Touch A day like today. "See photo"
4 ▶ Touch the gear ⚙ at the top "See photo". 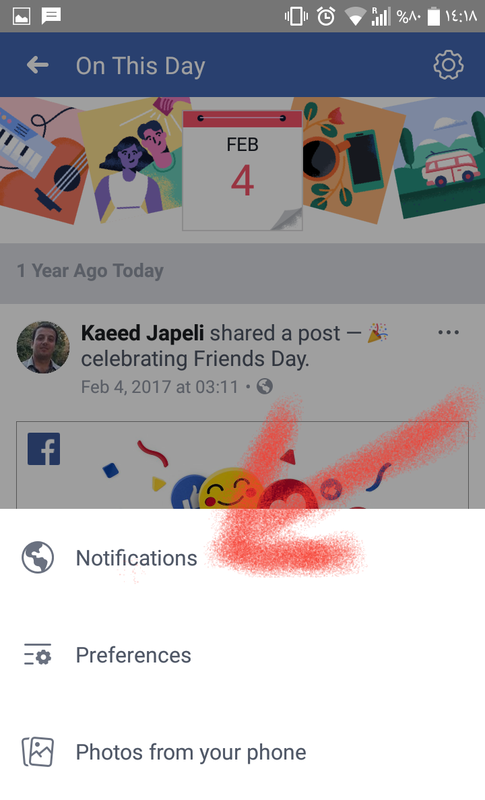 5 ▶ Touch Notifications 🔔 "See photo". 6 ▶ Select All Memories or None "See photo". 📌Note: You can select Highlights to see only the memories of your best friends. 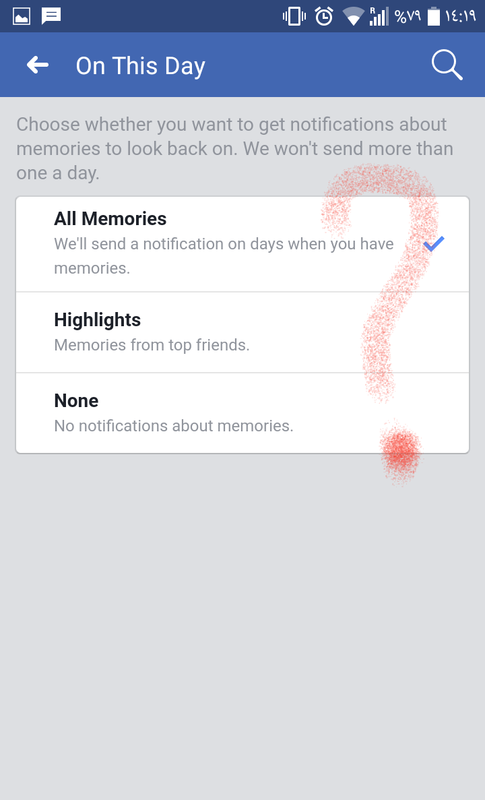 Preferences of "A day like today"
Your memories belong to you, so you can control which ones you want to see in "A day like today". 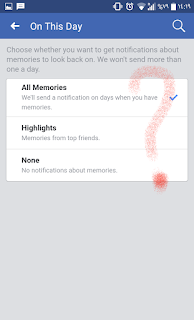 Memories include your publications, publications that you have been tagged with, important events, and when you made friends with someone on Facebook. Use these filters to help us show you important memories for you in "A day like today"
▶ Touch Preferences "See photo". 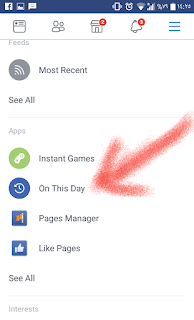 1 ▶ Go to facebook.com/onthisday. 3 ▶ Select All Memories or None. 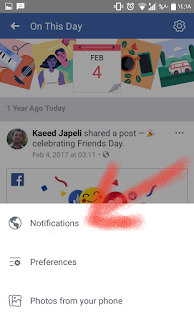 publications that you have been tagged with, important events, and when you made friends with someone on Facebook. Use these filters to help us show you important memories for you in "A day like today". 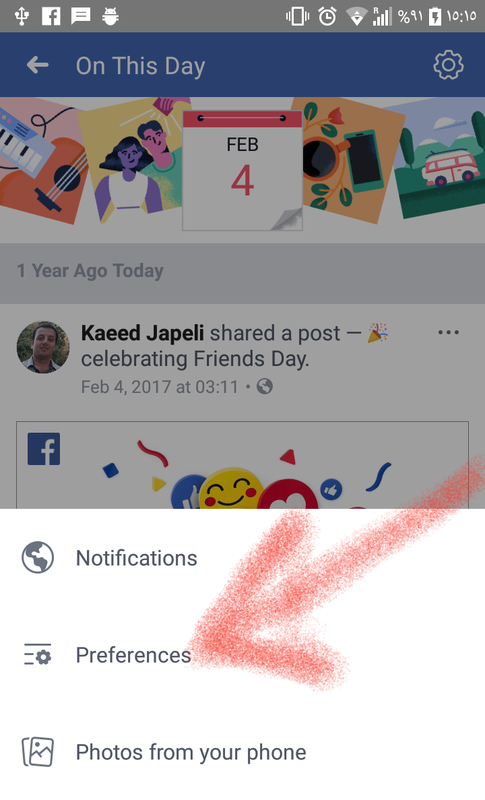 How do I create video # yearinreview on Facebook? 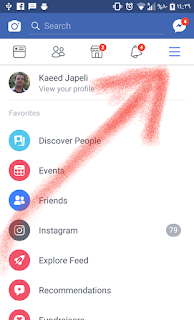 - How do I create video # yearinreview2018 on Facebook? The birthday video will only be shown once at the top of your news section. 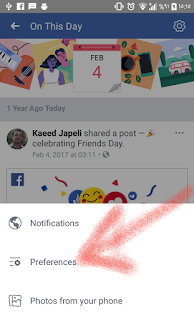 If you do not share the birthday video, you will not see it again in the news section. 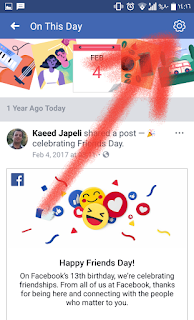 How do I create video #yearinreview2018 on Facebook? 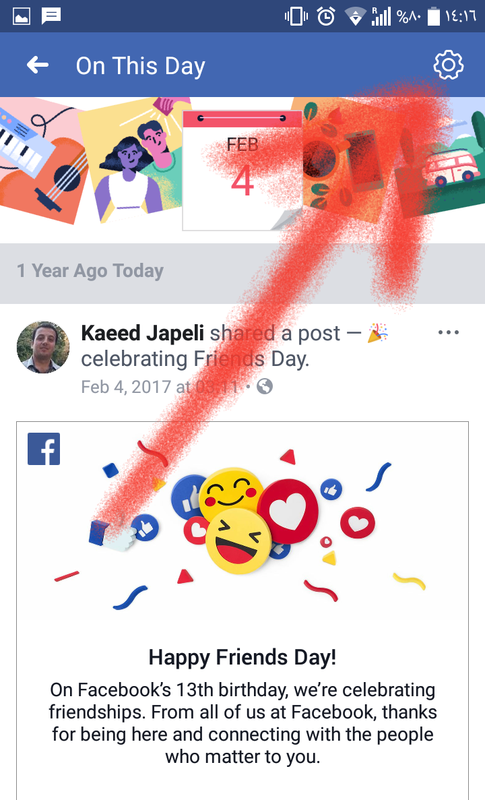 How do you create video friends day on Facebook? How do you create video Happy Friends Day ?